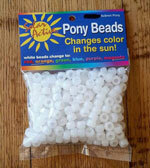 SolarActive® UV color changing pony beads and thread change colors for years! 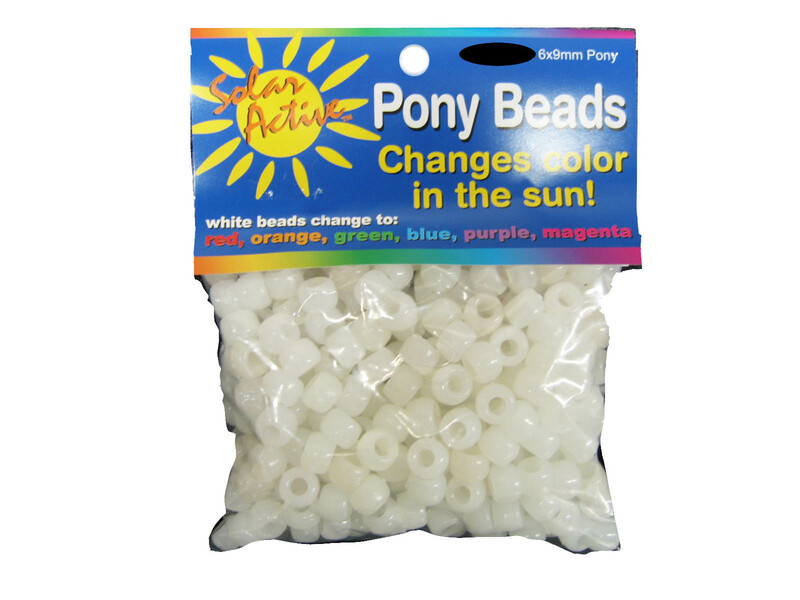 What makes the Color Change Pony Beads change colors? 7 Fantastic Vibrant SolarActive® Color change pony beads and threads. Available in red, yellow, orange, blue, green, purple and magenta! Hearts, stars, butterflys and facet beads change colors too! 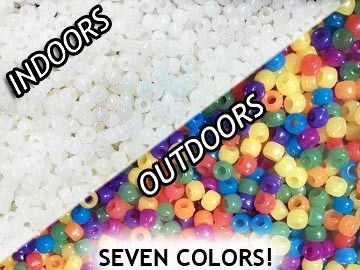 Multi-Color UV Color Changing Bead Pack now with 250 beads! The color changes repeats itself over and over again when removed from the sunlight or UV. 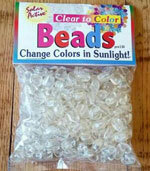 SolarActive Color changing beads are great for craft projects of all kind! Place your mouse over to see the outdoors color! SolarActive UV-sensitive color change beads and sewing thread contain SolarActive technology that magically changes color when exposed to ultraviolet straight from the sun. 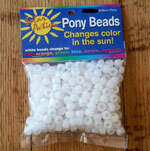 SolarActive® color change pony beads and sewing thread remain white indoors when shielded from sunlight. You don't need actual sun, just UV. SolarActive uv color change pony beads and sewing thread work rain or shine as long as there is UV light present. Order today! We ship out next business day!